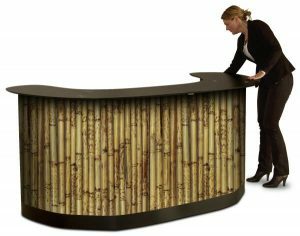 Our Shipping Cases can be transformed into a counter or portable bar. 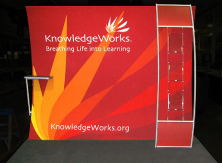 Use these cases as a presentation podium and display your image on the front. 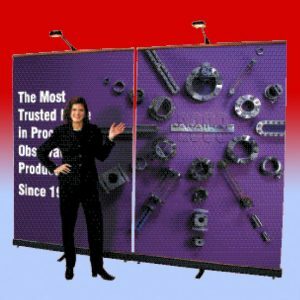 When you are finished, place your displays and accessories in the case and wheel it away. 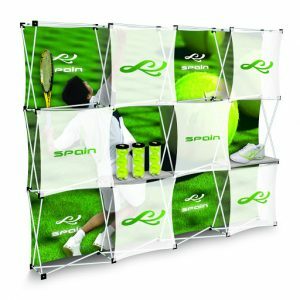 Perfect for transporting most pop-up displays, Expand MediaFabric and most of our retractable and non-retractable displays. 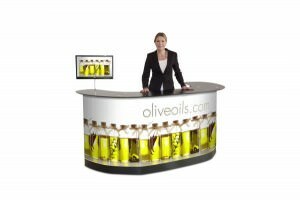 Open the two cases and add a large table top, a graphic on the front and shelves on the inside and your counter is ready! 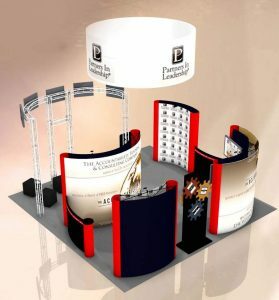 In minutes, you can create large space for welcoming your customers and provide a storage space for brochures or products. When your event is finished, pack up everything in the two transport boxes. 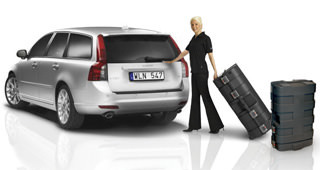 The Expand XL PodiumCase will easily transport most of our products. 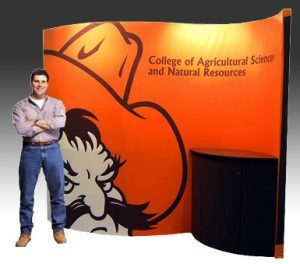 In only a few minutes you can convert two transport cases into a huge presentation space. 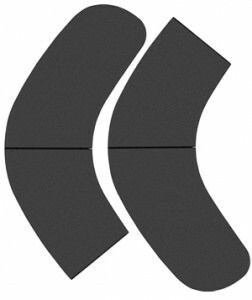 The black wooden tops are two separate pieces and they are designed to be locked together once installed. They come in two heavily padded bags for extra protection. 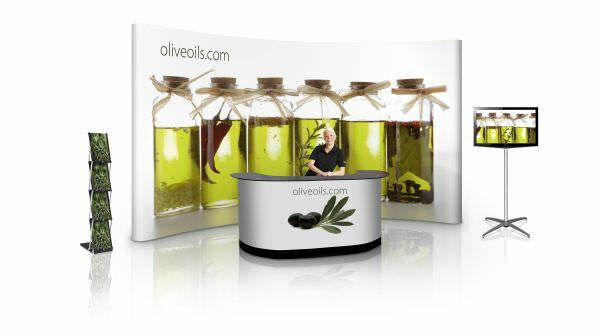 This large surface turns into a great space to welcome your customers, demo products or offer samples. 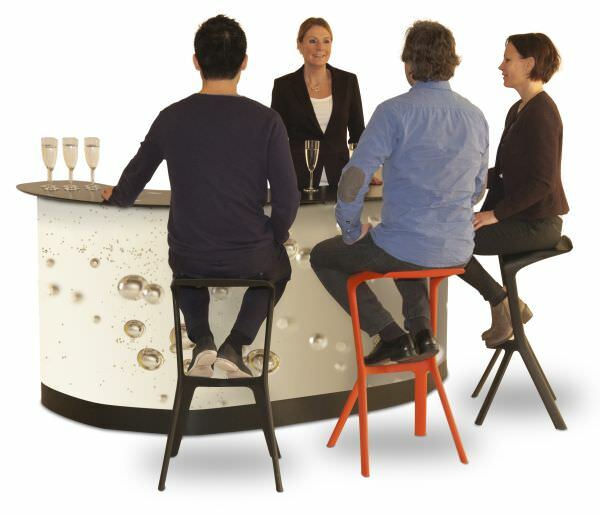 Eight detachable shelves are available as an accessory for your Expand PodiumCase XL. 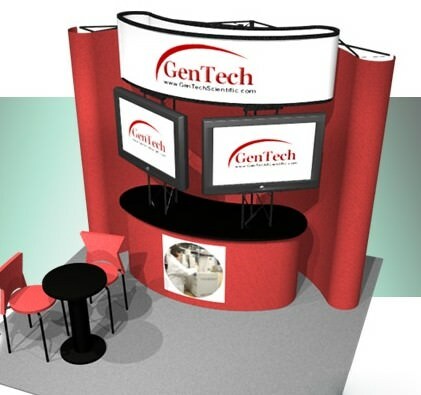 The shelves are perfect for storage of brochures, demo products, drinks etc. The Expand PodiumCase XL gives you two transport boxes – equipped with wheels and handles for easy transport and handling. It is a perfect transport box for, Expand MediaWall, Expand MediaFabric, Expand LinkWall, other products. 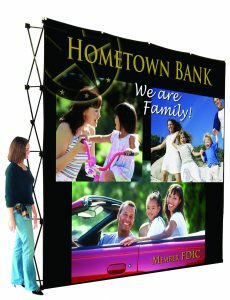 w/Double-Wide Black Top, Shelves, Skirting, and w129 15/16”x h33 7/16 Graphic Wrap. 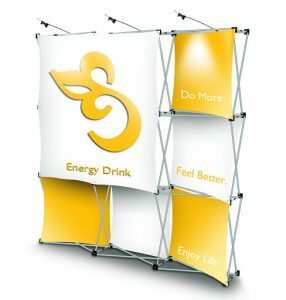 10 ft tall LinkWall banner stands create a very compact package that packs away into the PodiumCase. 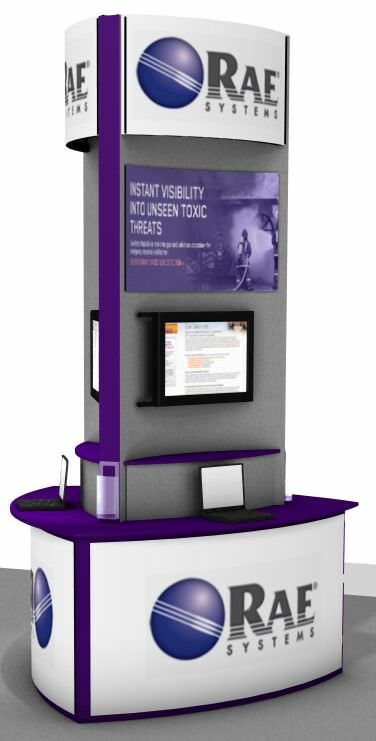 A simple PodiumCase and a banner stand graphic make an impressive less-is-more display for registering leads or distributing samples. 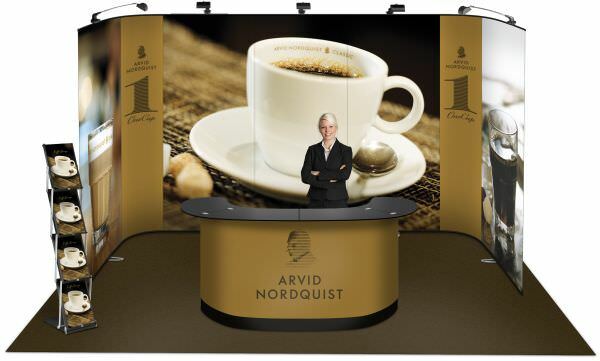 An XL PodiumCase forms the base for this portable display video presentation.